Agatha Raisin, a public relations professional, gives up her life in London in the hope of starting a new life in the seemingly quiet village of Carsley, but soon finds herself a suspect in a murder case when she enters the village’s annual quiche-making competition in an attempt to ingratiate herself with the community. She sets out to clear her name and solve the mystery of the quiche of death. Adapted into a 2 hour TV movie in 2014, it took until 2017 to get it on NZ screens. It’s very British and in the ‘quirky small village with eccentrics’ style. While the acting, direction and production is very professional, the story is really awful. It’s full of holes, not original and I could see who the murderer would be immediately. Maybe the books are better, but I’m giving the series a miss. An explosion of scandal, celebrity and murder runs riot throughout the streets of 1920s Chicago. A camera flashes and Roxie Hart looks straight into the lens with a hint of a smile playing on her lips. On the front of the newspaper, and having gained notoriety by shooting her good-for-nothin’ lover, her dreams of superstardom on the stage are one step closer to becoming reality. Slip through the bars of the Cook County Jail as Roxie joins Velma Kelly and the Six Merry Murderesses. Witness as they spiral down into the seedy underworld along the gritty road to fame, assisted by their manipulative and smooth-talking lawyer Billy Flynn, who will keep them from death row while making them stars. As Frank discovers Jackie Sharp will be testifying before the Declaration of War Committee, Claire is informed that the American from the Antarctic expedition froze to death. Claire wants the body to get lost in transit. With Romero heading the committee, Frank tries to get in his good graces again by offering him the position of party whip. Romero, however, is not looking to negotiate. Jackie pleads the Fifth during her testimony. LeAnn becomes concerned about Aidan, who isn’t willing to reveal what he told the Russians. Jane makes it clear that what is important is learning what Aidan divulged. She also informs the Underwoods that a gas attack is imminent in Homs, Syria, advising that they send in 30,000 troops after the attack and divert the committee’s attention. When Frank and Claire tell Durant, she begins questioning the operation and later voices her protest to Jane. Doug confronts a frightened Lisa, who then calls Hammerschmidt and tells him about the encounter. LeAnn is confronted in a parking garage by Aidan, who is alive. The two share a close moment before he leaves. Frank is informed that Garrett Walker will be testifying. For several episodes, little has happened. And things are getting strange and weird. Ant narrative strength the series has is getting weaker. Fortunately only three episodes to go. 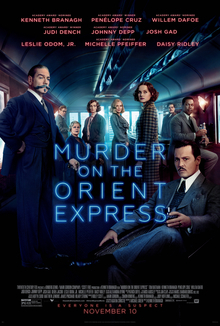 Murder on the Orient Express is a 2017 American mystery drama film directed by Kenneth Branagh with a screenplay by Michael Green, based on the 1934 novel of the same name by Agatha Christie. The film stars Branagh as Hercule Poirot, with Penélope Cruz, Willem Dafoe, Judi Dench, Johnny Depp, Josh Gad, Derek Jacobi, Leslie Odom Jr., Michelle Pfeiffer, and Daisy Ridley in supporting roles. The film is the fourth adaptation of Christie’s novel, following a 1974 film, a 2001 TV film, and a 2010 episode of Agatha Christie’s Poirot. The plot follows Poirot, a world-renowned detective, who seeks to solve a murder on the famous European train in the 1930s. The phrase ‘well done’ and ‘good work’ spring to mind. It’s not an outrageous big budget film with stunts, effects and explosions. But Brannagh manages to wind up the tension to the end and the traditional scene where he explains how a murder is committed. Good watch, although probably better seen when it gets to TV. After winning the Ohio election, Frank becomes President-elect of the United States. Frank offers Conway a menial position when he calls to concede, prompting Conway to curse him. Frank and Claire celebrate with champagne in the Oval Office. Doug believes it is unwise to allow LeAnn and Usher into the administration; Frank agrees that LeAnn’s connection to Aidan is worrisome, but Usher should stay. Meanwhile, LeAnn has lunch with Kate Baldwin, revealing she is being kicked out because Aidan stole NSA files and might leak classified material in Russia. Tom informs Claire that he is finished being her speechwriter. Romero threatens the Underwoods, saying he will convince Congress to reopen the Declaration of War Committee to investigate them. He demands two seats on the dais at Frank’s inauguration and a line in the inaugural address about Medicare. Frank is sworn in, but his address does not address Romero or his concerns. Aidan unwillingly agrees to do an interview in Russia with Kate. However, he calls LeAnn, who tells him policemen have come to arrest him. During the inaugural ball, Frank and Eric Rawlings, the civil war re-enactor and personal trainer, share a darkly intimate moment. In the halls of the West Wing, Frank tells Claire that Congress is reopening its investigation into Frank. As the party breaks up, Frank blackmails Tom and tells him not to cheat on Claire again. Meanwhile, Hammerschmidt contacts Zoe’s father, who reluctantly meets with him and says he had no idea that Zoe was in trouble. LeAnn, under the impression that giving up Aidan would save her job, is shocked when Doug fires her. In the Oval Office, Claire and Frank meet with Jane. Frank says he wants Aidan back on American soil. Frank attends an elite weekend retreat to firm up support for the upcoming elections in Ohio and Tennessee. Among the attendees are Usher, Brockhart, Raymond Tusk, and Benjamin Grant, the head of Pollyhop. Claire is awakened in the middle of the night and hurried into the Situation Room, informed that a Russian research vessel carrying 100 people is sinking in the Antarctic. The next morning, Frank and Brockhart chat about the Al Ahmadi situation. After negotiating trade deals with China, Jane reveals to Claire that they are willing to aid the rescue, as there’s an American aboard the Russian ship. Claire asks for proof of the American’s presence before moving forward. In the woods, Frank contacts Doug and tells him that Brockhart is making a deal with Tusk, and orders Doug to stop it. Frank remembers something that Tusk mentioned (“A little restraint would be unexpected”) and tells Doug not to act on it. Claire plays hard ball with China on the rescue operation and a trade deal. Though China is hesitant at first, the rescue mission goes through and China gets credit, but the lost American is not found. On his way out, Grant gives Frank a recording of Conway’s tirade on the plane. The next day, Frank and Claire meet with Usher in the Oval Office and inform him of the recording. With that leverage, the Underwoods are able to recruit Usher, who advises them how to release the recording. Claire and Frank argue over Mark Usher and are briefed in the Situation Room about the potential location of Ahmed Al Ahmadi, the leader of ICO. The generals believe Ahmed is in Damascus, but they’re divided on how to approach the situation. Hammerschmidt continues his investigation into Rachel Posner and her possible connection to Doug. Claire holds a meeting with Cathy and Jane Davis, but the three are moved to a bunker underground when a truck carrying radioactive material is missing. Doug calls LeAnn and Seth from the bunker, telling them to keep calm. Frank and Claire question Jane’s security clearance. Doug informs Frank of a hot-mic recording where Brockhart says he’d actively tell his troops to disobey orders if Frank put them on the borders of Syria. Frank leaves the bunker and accuses Brockhart of orchestrating a fake terrorist threat in order to make them evacuate D.C. and effectively stage a coup d’etat to sabotage his election; after Brockhart names the general behind the plot, the truck is “found.” The general is forced to resign, but not before telling Claire that neither she nor her husband deserve to be in the White House. The next day, the Underwoods accuse Usher of being involved in the incident, playing the Brockhart audio tape. When Usher insists he stop, Frank says “it gets so much better”. 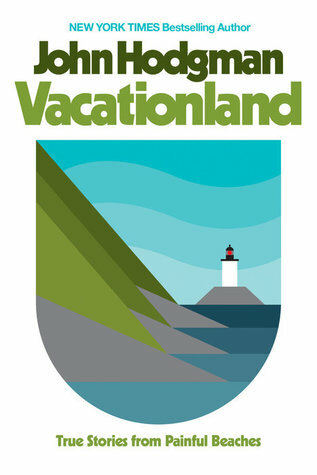 Vacationland collects real life wanderings, and through them the horror of freshwater clams, the evolutionary purpose of the mustache, and which animals to keep as pets and which to kill with traps and poison. There is also some advice on how to react when the people of coastal Maine try to sacrifice you to their strange god. 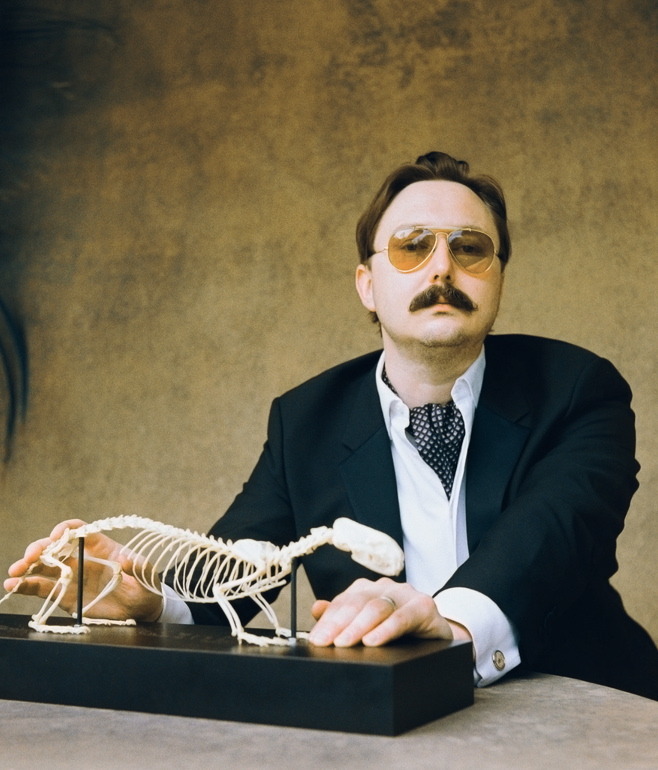 This is a set of incidents and stories from John Hodgman’s life. The first half, covering his early years is interesting and amusing. However the second half feels a but forced and searching for the humorous elements of his (self admitted) white privileged life. By any account John Hodgman is successful, however his humour really works when it’s not about himself, but in the gentle mocking of others. This is best heard on his ‘Judge John Hodgman’ podcast. While I found this a fun read (mainly in the prose and insights) it’s not essential. Check out his podcast. The man was Mitch Waterson, an ex-finance company high flyer, responsible for the loss of many millions to many people – in particular, he is the one responsible for many elderly losing their life savings. Mitch was responsible but never held accountable. It would seem now that the accountability has been sought. Revenge has been exacted. Claire becomes Acting President of the United States until the House votes again. Frank congratulates her on the position, even if it’s just for a few weeks. Durant informs the Underwoods that a research facility in Antarctica has been taken over by an unidentified military group, suspecting the Russians. Meanwhile, it appears that Aidan has been kidnapped and may be forced to reveal secrets. Conway’s campaign manager Mark Usher is able to secure a meeting for Conway with the Congressional Black Caucus, in the hopes they will consider supporting him instead of Frank, but the meeting goes very poorly. On a private plane back to New York, an exasperated Conway finally cracks under the pressure and curses out Usher, threatening to leave him on the tarmac upon arrival, then berates the pilots for not allowing him to fly the plane and declares maniacally that he will be President. Sean visits Lisa then tells Hammerschmidt, who fires him after discovering that Sean looked through his notes. Hammerschmidt later investigates the death of Zoe Barnes. To avoid a mixed-ticket White House, Frank and Claire are able to convince Usher to support new elections in Ohio and Tennessee, so long as the Speaker approves. Claire, Frank, and Cathy learn it is the Russians who have kidnapped Aidan. This feels like a mid-season lull. Everything passes slowly, shots linger a few seconds too long and just a lot of people walking through hallways. There wasn’t enough plot to fill this episode.